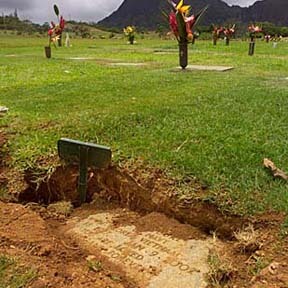 At the Hawaii State Veterans Cemetery in Kaneohe, many of the grave sites are taken care of by the deceased's families, as there are only four groundskeepers for the entire cemetery. One complaint is that many of the headstones, like the one in the foreground above, are settling below ground level. »Hope for a China-Taiwan breakthrough?